James Tabor describes Wadi el-Yabis as "incredibly rugged with water falls, pools, and surrounding high cliffs on both sides, dotted with abundant caves." Tabor believes Jesus took refuge in this wadi during his excursions east of the Jordan. In 1999, at the very first Biblical Archaeology Society “Bible and Archaeology Fest” held that year in Boston, I gave a lecture titled “A Jesus Hideout in Jordan: Texts, Geography, and Archaeology Converge.” If I am not mistaken, that lecture has proven to be the most popular of the hundreds I have done in Biblical Archaeology Society seminars over the past 20 years. The academic paper, linked here, that I read at the Society of Biblical Literature annual meeting last year, offers the technical underpinnings of my basic theory and proposal. I thought I would offer here a less technical overview of my analysis on this subject. All our gospels are theological by definition. That is one solid result of the past 100 years of critical-historical work on these texts. However, it has generally been acknowledged that the gospel of John, in contrast to our three Synoptic gospels–Mark, Matthew, and Luke–is the most explicitly theological, especially in the long “red letter” sections where Jesus is represented as giving extended teaching about topics such as the spiritual “birth from above,” receiving eternal life, a spiritual resurrection, his “incarnation,” and mystically consuming his “flesh” and “blood.” Consequently John is usually dated late, even into the 2nd century CE, and he is usually regarded as much further removed from the “historical Jesus” than the Synoptics, and thus less useful for doing serious historical work on Jesus as we might imagine him to have been. Nonetheless some scholars have begun to reexamine the underlying narrative framework found in the gospel of John. John provides details about both chronology and geography that are most intriguing. In contrast, Mark has few chronological markers, so much so that halfway through his account (chapter 8 of 16 chapters total), Jesus is already on his final journey to Jerusalem where he is crucified. What goes on before that, essentially Jesus’ entire preaching career, narrated in chapters 1-8, is presented in a rapid and sweeping flow of events with no indication as to whether the time involved was days, weeks, months, or even years. In my book, The Jesus Dynasty, I adopted the three and one-half year chronological scheme of the gospel of John (Fall, 26 CE to Spring, 30 CE) and attempted to understand Mark’s fast paced narrative in that light. James Tabor’s full lecture A Jesus Hideout in Jordan? is now available on DVD. Tabor combines clues from the Gospel of John, the story of Elijah, the Dead Sea Scrolls and other historical writings that point to the location of a Jesus hideout east of Jordan, near Calim. He demonstrates how the combination of archaeology, historical documents such as the Dead Sea Scrolls, and the bible texts produces a unique picture of the Nazarene movement and the geography of Jesus’ life. Learn more about A Jesus Hideout in Jordan? : Mapping Ancient Textual Traditions. “John also was baptizing at Aenon near Salim, because there were many pools there; and people came and were baptized” (John 3:22). We pulled out the Oxford map of Galilee in the time of Jesus and quickly located Aenon near Salim, just south of Scythopolis, or Beth Shean today. Directly across the Jordan from that spot I noticed two things. There was a “Wadi” or ravine named Cherith, and just to the north the Decapolis town of Pella. Both rang different bells in my head. Cherith, of course, was the ravine where Elijah hid and was fed by the ravens when he fled from king Ahab and queen Jezebel when his life was in danger (1 Kings 18:1-7). And Pella was the traditional location where the followers of Jesus fled around 68 CE when Jerusalem was put under siege by the Romans prior to its destruction. Scholars have always had problems imagining this flight of the Nazarenes, led by Shimon bar Clophas (whom I argue in The Jesus Dynasty is Jesus brother Shimon rather than his cousin), to a pro-Roman Hellenistic city such as Pella and any number have questioned the historical probability of this tradition. However, recent research, by Houwelingen* and others, in my view at least, has shown the tradition is most likely reliable. I have also become convinced that perhaps the Pella tradition referred to the area of Pella, not the city itself. The Wadi Cherith is just six kilometers to the south, literally part of the “precincts” of what could be called Pella. In a matter of minutes it all began to fit together. James Tabor will lead the ever-popular Biblical Archaeology Society Seminar at Sea from January 27–February 3, 2013. Kick off 2013 with an unforgettable journey to the Caribbean. As you spend your days exploring beautiful, sun-soaked Caribbean destinations, your evenings will be spent exploring some of the most important, exciting discoveries in the field of Biblical archaeology. Eminent Biblical scholar and archaeologist Dr. James Tabor will give exclusive and up-to-date insights on six of the greatest archaeological discoveries related to Jesus and his earliest followers. Combine Biblical scholarship with all the adventure, fun and relaxation of a beautiful Caribbean vacation. Join BAS and James Tabor on a Seminar at Sea. The Wadi Cherith, across the Jordan, would have been remembered as a “place of safety” for Elijah. Although some have located the Wadi Cherith to the south, the weight of evidence favors the northern Gilead location. It fits the description in 1 Kings 17 precisely, and the site of Jabesh-gilead (Abu el Kharaz) as well as Tishbe has been located in the Wadi. If Jesus also went “across the Jordan,” from Aenon near Salim, that would put him right into the Wadi Cherith, and thus provide an explanation for this odd choice of location for his flight. Finally, nearly 40 years later, his followers, some of whom would have been with him in the winter of 29 CE flight, would have returned to that area. I had been to Jordan before but only to see the standard tourist sites. I had no idea what the Wadi Cherith might be like. On a modern map of Jordan I saw the name used today: Wadi el-Yabis, which actually connects to the name Cherith (“to cut”), referring to the rugged rock-cut nature of the Wadi. I decided to make a trip to Jordan as soon as the semester was out and in June of that year I found myself hiking with some students and friends deep into the reaches of Wadi el-Yabis. What we found was quite amazing. The Wadi was incredibly rugged with water falls, pools, and surrounding high cliffs on both sides, dotted with abundant caves. We searched some of the caves and found early Roman period pottery shards in abundance. Artist Balage Balogh portrays Jesus and his small band of followers living in this Wadi that last winter of Jesus’ life. I asked the extraordinarily gifted artist Balage Balogh, who specializes in archaeological drawings and painting, and who was doing illustrations for my book, The Jesus Dynasty, to create a scene that would portray Jesus and his small band of followers living in this Wadi that last winter of Jesus’ life. He took great care in the details, as he always does, wanting to get the clothing, hairstyles, and other things just right. The result, in color, is quite stunning and it helps one to suddenly imagine an amazingly moving scene from the life of Jesus that has never until now been imagined. 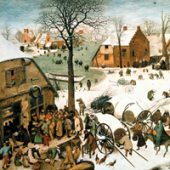 I have called it “The Last Winter.” I wanted to share it with my readers here. Based on the traditions of both Mark and John regarding Jesus’ excursion “beyond the Jordan,” as well as the Pella flight tradition, I am convinced that the location of Wadi el-Yabis as a “Jesus Hideout” has good historical probability. If John’s chronology is correct this is where Jesus and his entourage spent the last winter of his life, from December until early April, when he hears of Lazarus being deathly ill and is summoned by Mary and Martha of Bethany to come to the Jerusalem area. It would also be the location where the band of fleeing Nazarenes went in 68 CE as the Roman laid siege to Jerusalem. A Wadi el-Yabis Survey Project (G. Palumbo, J. Mabry, I. Kuijt) begun in the 1990s has identified a number of Late Bronze Age and Early Iron Age sites but a specific concentration on potential early Roman habitation of the caves south of Pella remains to be done. I have been back to Wadi-el Yabis four times and we have surveyed the caves and found 1st century CE Roman pottery is quite abundant. Perhaps in the future more work can be done here. James Tabor leads the Caribbean cruise “Seminar at Sea.” Learn about the six of the greatest archaeological discoveries related to Jesus and his earliest followers as you relax and enjoy the Caribbean sun. Join us January 27-February 3, 2012 for this year’s most enjoyable Biblical Archaeology seminar . * “Fleeing Forward: The Departure of Christians from Jerusalem to Pella,” Westminster Theological Journal 65 (2003): 181-200. How did Christianity become a religion distinct from its Jewish origins? 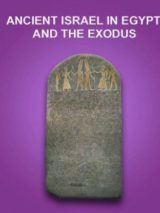 Read The Origin of Christianity in Bible History Daily. Fascinating article! I would be very interested in the updates when the follow up work is continued. Just by looking at the map and the clues highlighted from the gospels, there seems to be a very good chance that this theory can have some serious legs! I’m staying tuned on this one! It was memorable to visit the baptismal site of John the Baptist beyond the Jordan. It would seem to me quite natural that Jesus would have traveled here from the Galilee along a path east of the Jordan and minister to the Jews on their way to Jerusalem. These Jews traveled a well known route just east of the Jordan River to avoid going through Samaria. I was so skeptical at first but I was intrigued enough to continue reading and when I got towards the end I wept. To see the heart of God love the very things in the beauty of this world he gave us and to see him find solace and communion with his father just like us. I am afraid the place will be overrun soon. Thanks Chas. I am not aware of many chronological markers in Mark but I do get the sense, in chapters 8-10, with the three Passion predictions, they are “on the road to Jerusalem…” How to date that more precisely I have no idea…Thanks for your comment. mark starts on the jordan, goes into the desert, and has side trips to the decapolis, tyre and sidon, all before chapter 8. as for being bound towards the cross halfway through the book, well, some might have it that he was headed there for much longer than that. mark is not shallow in its theology, and there are plenty of chronological markers in it. 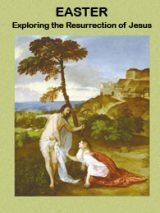 i am happy for these jordan discoveries, but using john to unpack mark might not be the best way to approach either book.